We are engaged in manufacturing and supplying an extensive range ofChenille Patches. Our entire range is developed using different colour combinations and a plethora of designs. These patches can be easily applied on any kind of clothes or fabrics. We are a leading manufacturer and exporter of WSH Chenille Patches that are designed by our professional craftsman. These patches are designed with utmost care and receive high recognition by our customers for their trendy and stylish look and unmatched designs. Customers can buy these patches at reasonable prices from us. We offered range of letter chenille patches is stitched utilizing high grade fabrics and innovative technology in complete adherence with the international quality norms. 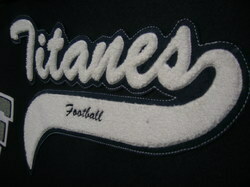 We offer wide range of patches is available in different graphics as well as lettering. We are engaged in manufacture of Embroidered chenille Patches made up of 100 percent cotton threads. Our whole range of patches is offered in a variety of designs and are embroidered by our professional craftsmen. These are offered to our clients at market leading prices. We are engaged in manufacturing and supplying of Letter Patch to our clients. These patches are made up of high quality and glowing threads. Available in different colors, patterns and designs. Also available in various sizes these 3D letter patches are highly recognized by our customers. A striking patch, adds to a smart look on the apparel it is added to. It is a highly demanded patch, owing to the fact that it can suit a wide range of clothing items and accessories. On one hand, the neat stitch, excellent finishing and quality material lend its durability, while on the other hand the lively colours make it more captivating. We are engaged in manufacturing and supplying an extensive range of Chenille Patches. Our entire range of these patches includes different colour combinations . Our patches are easily and conveniently applied on any kind of clothes and fabrics. We are engaged in manufacturing and supplying an extensive range of Chenille Patches.Our entire range of these patches includes different colour combinations and a plethora of designs. Our patches are easily and conveniently applied on any kind of clothes and fabrics. We offer these at industry leading prices to our customers. We are an eminent name, which is engaged in delivering chenille back patch at clients' premises. The offered range of chenille back patches is stitched utilizing high grade fabrics and innovative technology in complete adherence with the international quality norms. Along with this, the offered range of patches is available in different graphics as well as lettering. 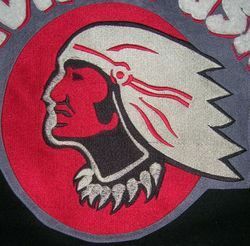 We are a leading in exporting Warrior Embroidery Patch which are added to jacket, jeans, shirts and sweaters in order to enhance the their look. 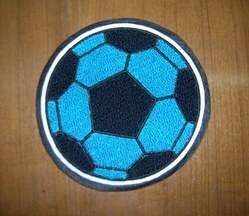 Our patches have been embroidered using the superior quality cotton thread that has been made up of 100 percent cotton. Our patches are available in different patterns sizes and designs.